The Shiffa philosophy is revealed in the beauty brands name. Shiffa means healing or to heal in Arabic. From her native Dubai, Founder Dr. Lamees Hamdan has been creating natural products based on the principles of dermatology since 2004. Following the success of this first product, the Pregnancy Body Oil,Dr. 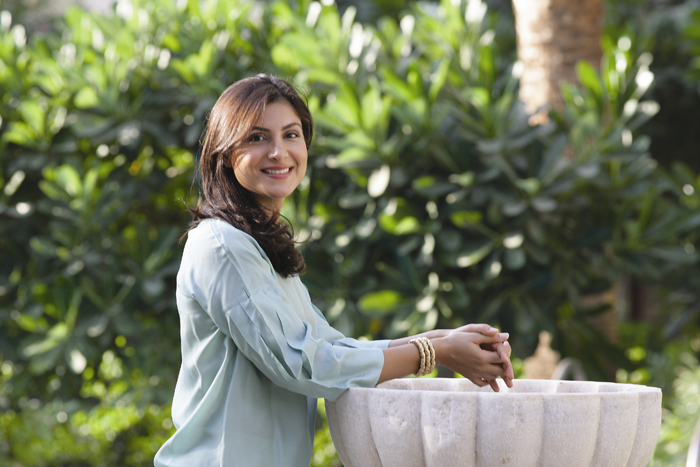 Lamees set out to create a complete range of natural skincare products, drawing inspiration from her background and knowledge in dermatology. By combining her passion for holistic healing and her vision for integrating nature with science, Shiffa was born. While Shiffa’s products rage from body to skincare and candles, my interest was peaked by the increasingly popular Jade Roller. Similar products have been buzzworthy among beauty news sites but I had top put a Jade Roller to the test myself and to pick Shiffa Founder and CEO Dr. Lamess’ brain about the trendy (but HIGHLY effective) tool. Choupette Social Girl: What are the benefits of Jade Rolling? Dr. Lamees Hamda: Jade Rolling stimulates blood circulation and lymphatic drainage to the face, it also contours the facial muscles. It helps with reducing fine lines and wrinkles and tightens the pores. I specifically use the jade roller to reduce over-night puffiness, and give my face a more contoured look to absorb the negative energy. CSG: What is the proper way to use a Jade Roller? DLH: Theproper way to use theShiffaJade Facial Massage Rolleris to start from below the neck line (below the clavicle) and slowly in upward direction move to the face. What you want to do is clear the lymphatics from the neck before beginning on the face, that way you get better results. OurJade Facial Massage Roller comes with complete instructions on how to use it, and I have also posted a short video on my Instagram page. The large stone is to be used around the face and the small stone is for under the eyes and for the inner corners of the eyes. CSG: How do you incorporate Jade Rolling into the Shiffa skincare routine? DLH: After cleansing and toning withAromatic Facial CleanserandFloral Facial Toner, I apply my ampoule then either my moisturizer orHealing Balm, then I start rolling. You can roll on a dry face but it works better and pulls skin less if there is a little slip. The Jade Roller is used before and after a nights sleep, and I specifically like using it after a long flight. CSG: Why has Jade Rolling recently increased in popularity? DLH: I think its simple back to basics philosophy. Also the absolute ease of using it, its very difficult to go wrong. Also, I must admit, the roller being made from a semi-precious stone that is linked to wealth, good fortune, good health and prosperity doesnt hurt either. CSG: How does Jade rolling align with Shiffa’s brand philosophy? DLH: Shiffais about using ingredients and tools that work on the skin. We dont believe in making your skin care routine difficult, we believe in making your skincare routine EFFECTIVE. Also, Jade being a natural mineral stone fits well within Shiffas natural, organic philosophy. 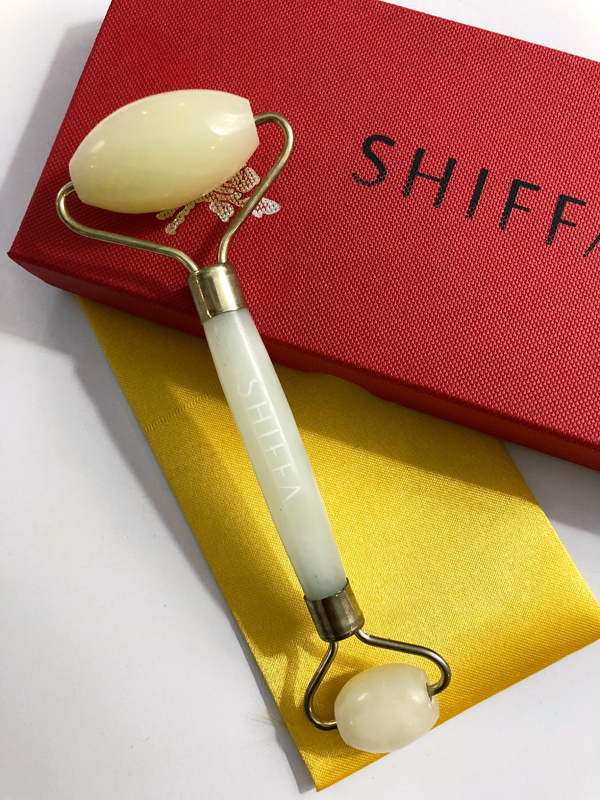 Shiffa started out as a spa-only brand, and we believe in the positive anti-aging effects of a good facial lymphatic drainage massage, and the Jade Roller helps you achieve the benefits of a lymphatic massage without having to go to a spa.